If you are an owner in a family enterprise, the likelihood of your business successfully transitioning to the next generations is not very good. This has not changed over the years. Statistics show a failure rate of: 67% of businesses fail to succeed into the second generation 90% fail by the third generation With 80% to 90% of all enterprises in North America being family owned, it is important to address the reasons why transition is difficult. 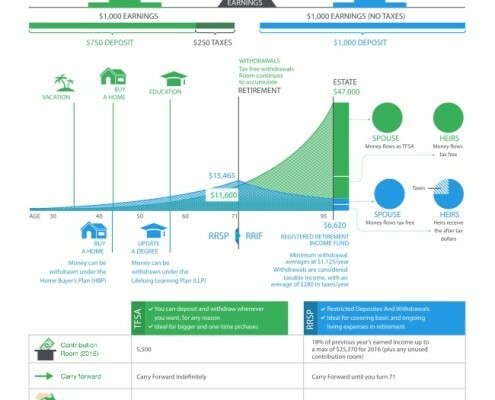 RRSP or TFSA? What's the difference? With the RRSP deadline around the corner, we're here to help you figure out where you should invest. http://prudentasset.com/wp-content/uploads/2016/02/tfsaOrRRSP.jpg 982 650 Deven Sharma http://prudentasset.com/wp-content/uploads/2015/10/prudentv2white-01-300x138.png Deven Sharma2016-02-01 05:01:272016-08-22 22:08:33RRSP or TFSA?